After dominating at international events last year, China’s League of Legends Pro League teams look set to provide some high-quality action and plenty to talk about in 2019. Invictus Gaming are the reigning world champions, who are bringing back the same squad which took home the title in November. As they showed throughout their time at the Worlds, this line-up is stacked with incredibly-skilled players who are able to turn aggressive in an instant. Despite the success of the other players, eyes are still on solo-laners TheShy and Rookie, considered two of the top players in the world. There is always the concern of a let-down following a World Championship victory, especially given the off-season does tend to bring changes. However, keep in mind game developers Riot made fairly minimal changes in terms of their overhaul this year, so IG have a better shot at continuing their momentum compared with previous world champions. That is reflected in the fact that they are 2.500 favourites with Dafabet to win the new LPL campaign. As always in the LPL, expectations are massive for Royal Never Give Up, who were competitive at every international event in 2018. However, their upset loss to G2 Esports at the Worlds put a major stain on how their season will be remembered. As a result, the team look more motivated than ever entering the new campaign. RNG made a roster change during the off-season with the addition of AmazingJ, who has been a solid player for quite some time. However, Uzi remains their focal point with all the pressure on him to perform yet again. Regarded as the world’s best in some quarters, Uzi is still searching for that elusive first Worlds victory after finally getting some other Finals wins under his belt. Something to keep an eye on is the team’s Jungle position, as it appears unknown what the future holds for Mlxg, although RNG are more than alright with Karsa Jungling full-time. RNG are 2nd favourites at 5.050 ahead of the opening set of matches on January 14. LGD Gaming have made some major off-season changes, including the additions of two Korean players in Ian and Kramer. Ian was up and down during his time with MVP, at first appearing to be a player with promise before he and the rest of the team struggled to find any form of success. Kramer is perhaps the more interesting addition. Known as a stable player with an incredibly-deep champion pool, he is one of the most willing to play non-Marksman within the league. He was also selected over Aiming to be the Bottom-laner at the Worlds for Afreeca and brings stability moving forward. Another key change is the addition of Condi from WE, a player known for his star performances in previous years. Yes, LGD did struggle as a whole last year, but Condi has a shot with new talent around him to once again find his winning ways. 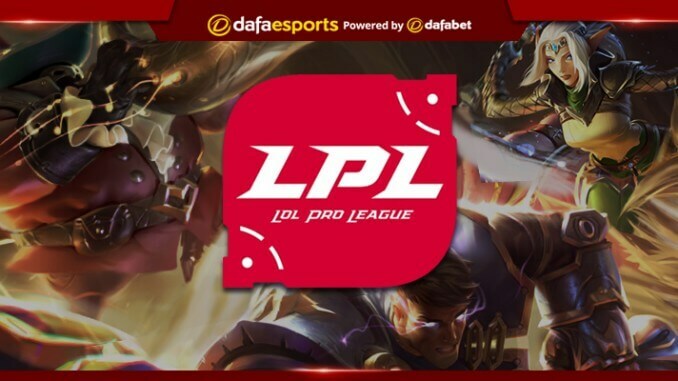 LGD are a tempting 20.950 to win the Spring season. Suning have also made some drastic changes, with the standouts being the signing of both Maple and SwordArt from the Flash Wolves. These players were part of a well-recognised squad who continually made headlines at the World Championships in particular. SwordArt is a player who received high praise during last year as an incredible all-around Support player who supplies everything a team could look for from that role. Maple is an interesting player, best known for his assassin play, but also more than capable of playing a myriad of styles within the Mid lane. Joining SwordArt within the Bottom lane will be Smlz, who was previously with Rogue Warriors after he departed Oh My God at the end of 2017. This is a potentially-dangerous squad, although synergy could take some time given the latest acquisitions. They can be backed at 8.980 for victory.